Hey everyone! 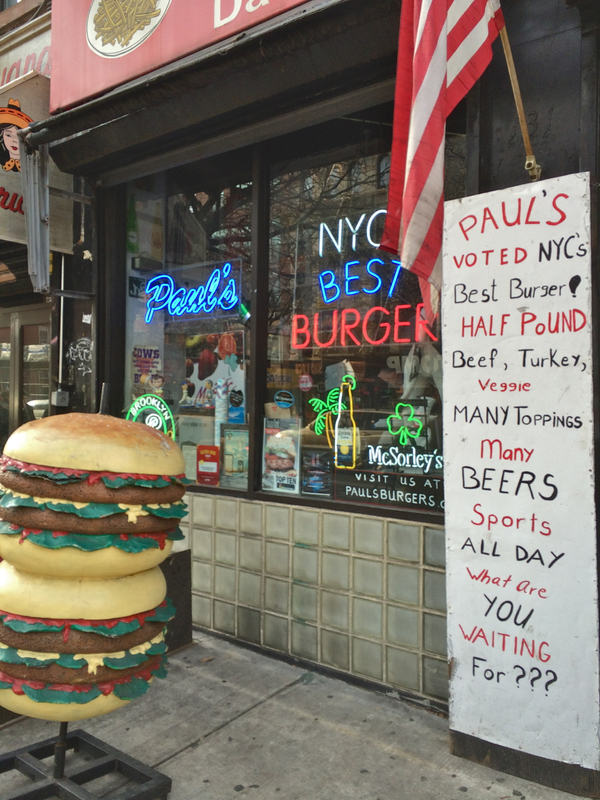 I haven’t had much time to blog lately, but here I am to talk about something I tried and felt like I had to share it with the world: Paul’s Burger in the East Village. If you’re on a diet, you probably don’t want to read this blog. You’ve been warned. I went there because a friend said this was the best burger in the city. While that’s a very subjective statement, I can say it must be pretty close! 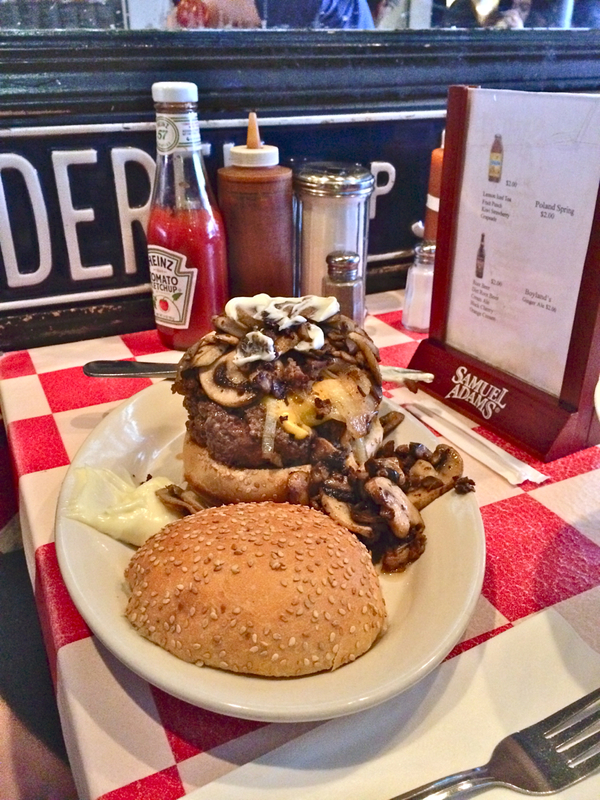 What you see on this picture is the Mushroom Burger with cheese. The mushrooms themselves would make for a decent lunch, so don’t go for it if you’re not hungry. It was absolutely delicious! The only downside is that you will need some extra time to figure out how to eat without looking like an animal. I didn’t succeed at that. Even if you are not that into burgers, the menu has a lot to offer. You can check it here. I would still give it a try, even if it’s just for the experience. I haven’t found another place like that in the city. It is located at 2nd avenue and St. Marks Place. It is also a great area to walk around. All in all, this is a true American experience, or at least I feel that way. And American or not, you should definitely give it a try! Thanks for reading and see you soon!